We’ve all taken personality tests. You probably know your Myers-Briggs type, your DISC assessment, and even your Hogwarts house (Hufflepuff forever! 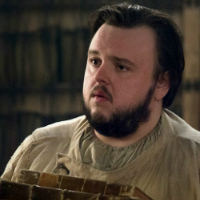 ), but do you know what your favorite Game of Thrones character says about you? 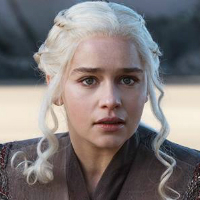 Before we close the door on the final season of the HBO hit, let’s revisit some of Westeros’ remaining power players and see how you can apply their hard-earned lessons to your own life. You value: Justice. You’re ready to do the dirty work required to make your world a better place. You fear: Losing yourself in that quest. 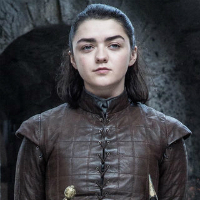 What you can learn from Arya’s journey: There’s a thin line between justice and vengeance. Don’t play the role of judge, jury and executioner. Trust in other people to help you make more positive changes in the world. You value: Loyalty. You’re willing to stand up for the people you believe in. You fear: Not being good enough to protect those you care about the most. 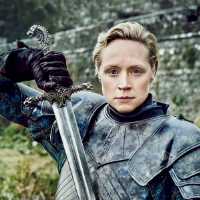 What you can learn from Brienne’s journey: Don’t get caught up in seeking other people’s approval. Take some time to understand what you want out of life and use your strength and courage to go for it! You value: Power. You want it all, and you want it now. You fear: Losing. The higher you rise, the more you worry about the fall. 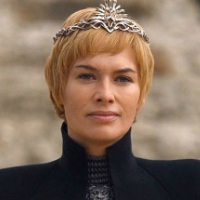 What you can learn from Cersei’s journey: Paranoia will destroy ya. When you alienate everybody on your way to the top, you’re going to be lonely when you finally get there. You value: Change. You want to break the wheel and start fresh. You fear: Being alone. Sometimes even a Dragon Queen just really wants a hug. What you can learn from Daenery’s journey: You can’t make people change if they don’t want to. You have to learn to listen and to convince, rather than just demand what you want. Also, you can’t just go around burning people who disagree with you. That’s bad PR. You value: Decency. You understand that it’s not winning or losing that matters, it’s the kind of world you leave behind in the end. You fear: Hitching your wagon to the wrong horse. What you can learn from Davos’ journey: Unfortunately, you can’t assume that everyone you meet shares your values. Make sure you’re compatible before you commit yourself to a person or organization. You fear: The things you’ll do for love. 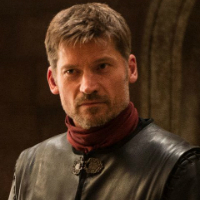 What you can learn from Jaime’s journey: Let love inspire you to be a better person and be sure to find someone who’s truly worthy of your heart (hint – her name is Brienne). You value: Hair. Okay, really it’s honor (but also hair). Like Davos, you know it’s not just about winning, it’s about how you play the game. You fear: People who don’t play by the rules. 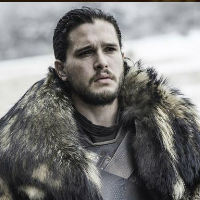 What you can learn from Jon’s journey: Sometimes you need to bend the rules for the greater good. A little pragmatism can help you keep your head. You value: Knowledge. There’s nothing better than a good book. You fear: Situations where you need brawn as well as brains. What you can learn from Sam’s journey: Don’t underestimate yourself or your talents. You don’t need to be the biggest, fastest, or smartest person in the room to make a difference. You value: Tradition. You know where you came from is an important part of who you are today. You fear: Change. You feel a little more secure today when you know what to expect tomorrow. 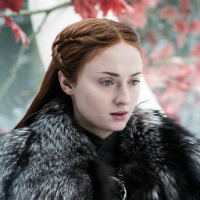 What you can learn from Sansa’s journey: You can’t turn back time, but you also don’t have to passively accept a new reality. Take charge and help shape the world you want to live in. You value: Wit. The world (or at least Westeros) may be a messed up place, but at least you can laugh about it. You fear: Not being taken seriously. You have more to offer than a few laughs. 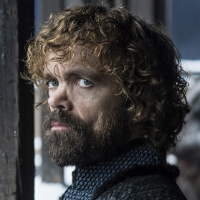 What you can learn from Tyrion’s journey: It’s not enough to just drink and know things. You need to put your talents to use in the service of others. So, are you a Sansa, a Jaime, a Tyrion or someone else? 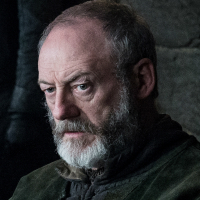 Do you think your favorite character has what it takes to sit on the Iron Throne? We’ll all find out in a few weeks! Want more Game of Thrones? I just had to also be one of the co-hosts of a Game of Thrones podcast, Close The Door And Come Here. Kris works heads up the Digital Operations team at TDS Telecom and helps TDS achieve their online objectives through digital marketing and website optimization. She has worked in the digital marketing space for over 15 years, in product categories as diverse as shoes, banking, beds and pig farming supplies (really!). Kris has both undergraduate degrees and an MBA from the University of Wisconsin – Madison and therefore bleeds Badger red. She’s a veteran blogger on topics ranging from digital marketing to Wisconsin fish frys to the sweet necessity of ugly office sweaters. Nowadays, you’re more likely to find her on Twitter or trying to decipher the mysteries of A Song of Ice and Fire. In her spare time, you can find Kris kayaking, hanging out at the dog park, or thinking about lawn care. ← TDS and BendBroadband. Working together.